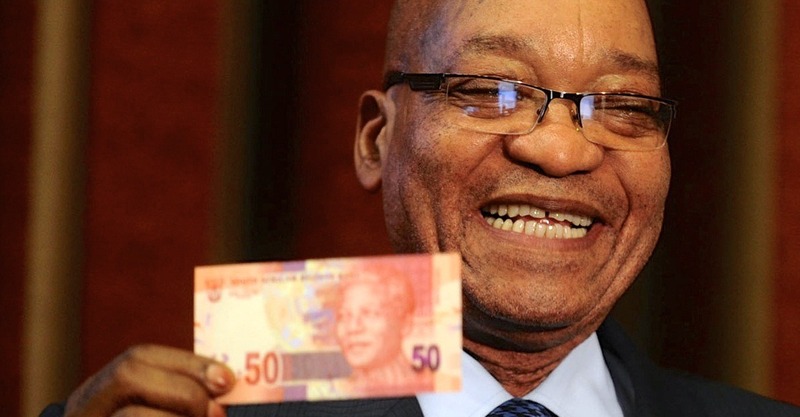 This week, the Constitutional Court accepted the treasury’s calculation that President Jacob Zuma should only have to pay back R7.8 million to the people of South Africa. Even though, he spent R250 million on upgrades to his Nkandla estate. Zuma has to pay this amount by the end of August. Shockingly, this figure represents just over 3% of the amount of tax-payer money that Zuma spent on non-security improvements. Moreover, it has been calculated that the improvements to his Nkandla homestead will bring in an 85%+ profit for the President. More alarming still, both the ANC Youth League (ANCYL) and the ANC in KZN have called on party members and the South African people to pay back the R7.8 million for Zuma! “I don’t think the court has said how the president should pay. How the president gets money is a matter that is immaterial. Nobody should feel ashamed to assist. The support of the president should not be criminalised,” said provincial spokesman for the ANC in KZN, Mdumiseni Ntuli. “We encourage everyone who would like to assist at a personal level,” said the secretary-general of the ANCYL, Njabulo Nzuza. “The rot in the ANC can no longer be put on the shoulders of one person, that rot goes too deep and too wide for us to blame one person,” said Zwelinzima Vavi, former head of the Congress of South African Trade Unions (Cosatu) about the court ruling. On Monday, Democratic Alliance (DA) leader Mmusi Maimane said that Zuma should pay back 100% of the Nkandla upgrade costs – in the interest of justice, fairness and accountability. “The South African people were defrauded by President Zuma and all those implicated in the Nkandla saga, and it is now time he pays back the money used to update his personal mansion,” he said. The secretary-general of the ANC Gwede Mantashe has warned that those who raise funds for Zuma or pledge their public support for doing so will be in contempt of court.